where people feel taken care of and comfortable. 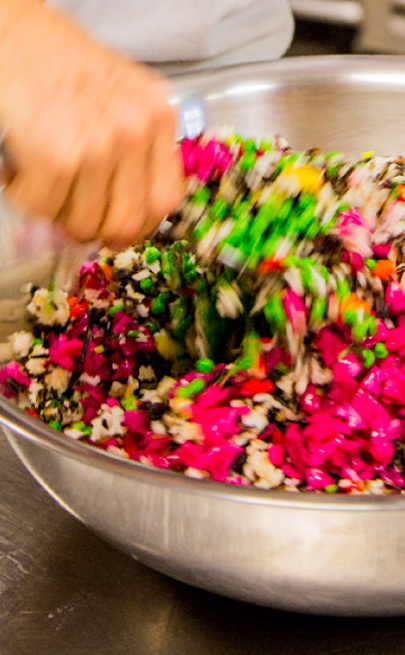 We take fine, fresh ingredients and transform them into something truly remarkable. And we make people happy. This is the joy of cooking. Simple tools, simple ingredients, beautiful food. Our favorite food is completely simple, highlighting the quality and beauty of each ingredient. We cook according to the seasons, using local and organic ingredients when possible. We balance rich foods with less rich, and harmonize flavors. Our food is honest, beautiful, and delicious. Every bite worth eating. 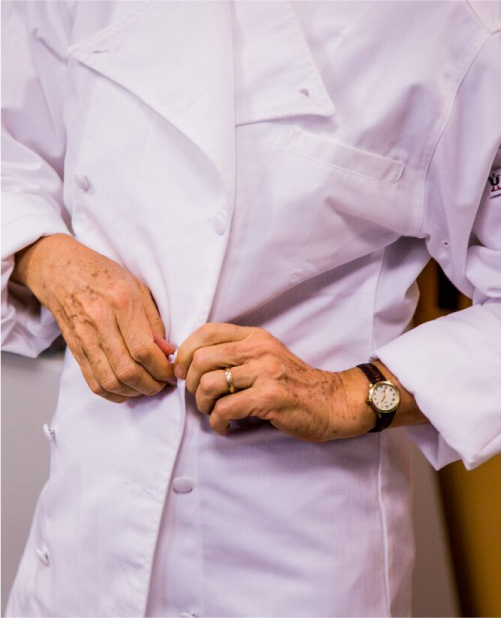 I began my culinary career by training as a French pastry chef at Rudi’s Bakery in Boston. In 1985, I won a Julia Child Fellowship to study cooking in France. I worked and studied for a year in Paris at La Varenne Ecole de Cuisine, working side by side with French chefs, acting as translator and assistant. My catering business has grown over the past thirty years from a party now and then to a busy schedule of weddings, dinner parties, receptions, and beautiful cakes. 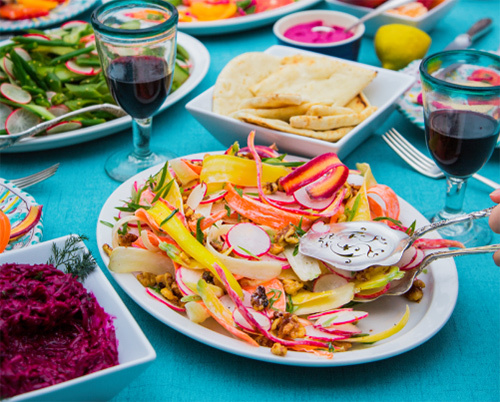 Together, we can create a beautiful, delicious experience. From preparation to presentation, we take pride in what we do. Our team is passionate about food. We love cooking together – stopping to taste each other’s dishes, fine-tuning the seasoning, adding that last pinch of salt. 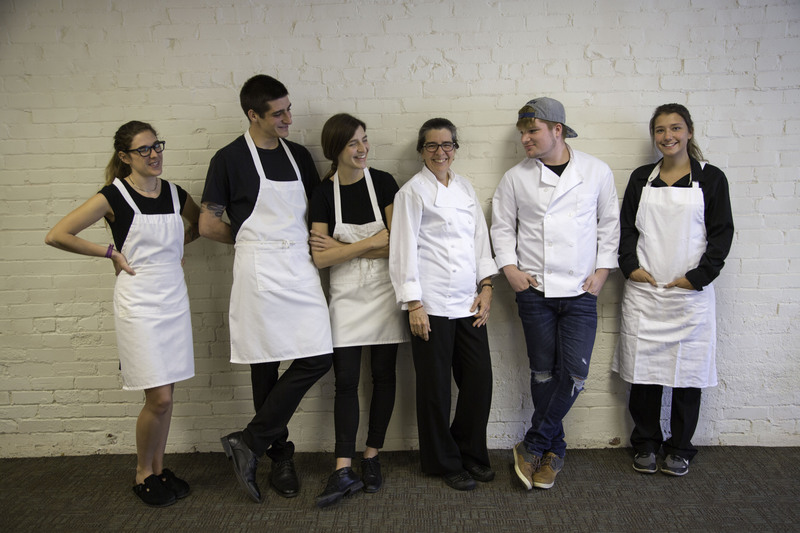 We’re a tight knit team – our chefs serve at events, and our servers help out in the kitchen. Seeing our customers enjoy themselves at the event is both our goal and our reward. You will find our staff professional, energetic, and attentive to detail. We look forward to catering your next event. 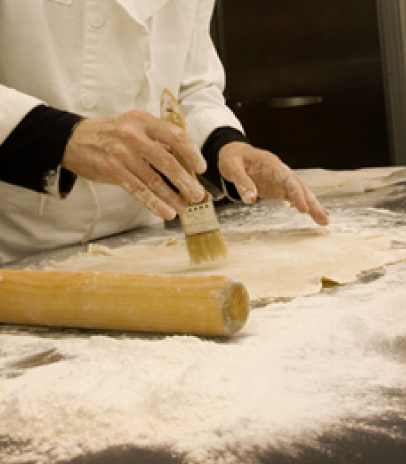 Our food is from scratch, and we know quality is built from the base up. From the finest imported French baking chocolate to family-farmed California dried apricots, we seek the highest quality ingredients to stock our kitchen pantry. Our business is woven deeply into the fabric of our lives and our role in the community. Bloomington’s year-round farmers’ markets provide constant inspiration. Developing relationships with local farmers and businesses has been fundamental to the way we operate our business throughout our 30+ years of catering.